It is our duty to inform you that Molly Sterkel has stepped down from the co-chair position. Molly has been active with the committee since it began. She helped steer the fundraising and planning activities that made our park the jewel of a community center that we enjoy today. However, Molly no longer lives in the neighborhood and she determined that the time has come to turn over her committee duties to someone more actively involved with local affairs. Thank you, Molly, for your dedication and service. 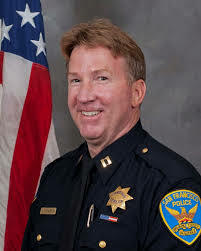 Ingleside Station commander Joseph McFadden brings his monthly community meeting to Upper Noe this month. Upper Noe Neighbors plays host as the Captain delivers info about the current condition of public safety. He will field questions about neighborhood concerns and take note of our needs for intervention. His presentation includes a video on personal safety and effective victim reporting methods. Wednesday, Jan 20, 7 – 8:30 pm, Upper Noe Rec Center auditorium. Winter classes are underway. The only cancellation was the Wednesday morning session of Baby and Me. 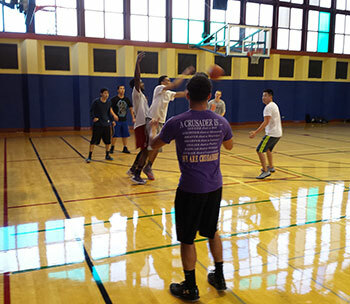 While drop-in participation is usually enough to fill out many activities, a minimum roster of registered participants is necessary to keep a class on the schedule. If you like a class, be sure to register for it. When the field is saturated and has standing water, staff will keep it closed. The turf and baselines are particularly vulnerable at that time. Rec & Park has decided not to close the field entirely this winter. They had planned upon doing so last winter to restore it but the drought intervened. Instead, they will be feeding and seeding to get it in good shape for spring baseball season. Should their efforts be less than satisfactory, the plan is to close it completely next winter. As flying toys and professional-grade drones proliferate, so do the stories of neighbors annoyed by the noise, lost and out of control aircraft, and worries about injury. Even skilled hobbyists need to be careful of where they fly. Remember that flying objects are not permitted in our parks. In particular, the Upper Noe ball field is not an appropriate location to test out that new toy. The major concern is the danger of a fast-moving, heavy object with spinning blades making contact. The second consideration is noise. Workers completed the job of refinishing the interior wooden floors over the holidays. The gym and auditorium are now ready to take on hard play. Basketball players from Junior Warriors to teen and adult pickup games will enjoy the fresh and clean glossy surface. The auditorium received a matte coat. Teens (right) compete within the reflection of the Rec Center windows. 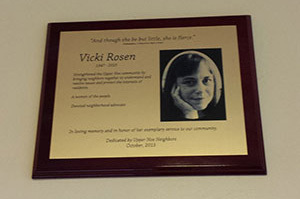 A plaque honoring past president of Upper Noe Neighbors Vicki Rosen was recently installed in the Rec Center auditorium. The location is significant in the entrance to this room that serves as our public meeting place where neighbors discuss issues and build community. A ceremony in October unveiled the memorial. Tots will enjoy the bonanza of books and puzzles that arrived this week at the Rec Center. Thanks to our kind neighbors who delivered two large boxes of nearly pristine children’s books and a large collection of wooden tot puzzles. Our library might be the place to be on these rainy days. Ride-around toys are in demand. Staff is asking that folks who are wondering what to do with their children’s older cars that are still in good shape to please drop them off at the Rec Center, especially any Little Tikes cars. Bring your donations to the Rec Center. If it is closed, contact Chris at chris@noevalleyreccenter.com for pickup or drop off. Join with Rec and Park gardeners and your neighbors on Billy Goat Hill for quarterly clean up and Winter planting.